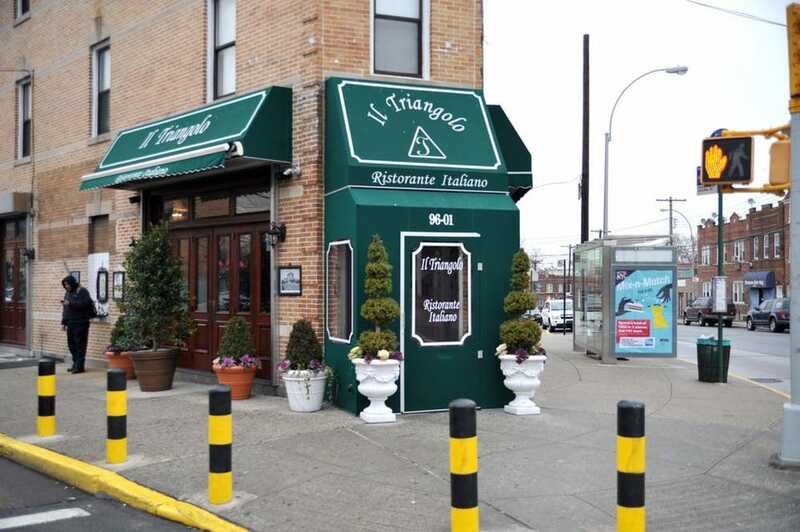 “(…) Gigliotti, who is 52-years-old, opened Il Triangolo in April 2011, which specializes in Southern Italian food. He created many of the recipes including homemade fettuccini ala Triangolo, chicken frangelico and shrimp limoncello. It seats around 60 people. He owns a cellphone bought for him by his daughter and thinks they’re a useful gadget for ordering items. But back in 2014, when cellphone use started proliferating and most of his customers starting taking out their smartphones during their meals, Gigliotti became irritated. He noticed that “people weren’t paying attention to their food, their surroundings or their own family members.” No longer were his customers conversing; they sat there and ate and checked their cell phones as if they were dining alone. In fact, their behavior slowed everything down in the restaurant. Instead of eating and leaving quickly, they’d spend more time dining because they weren’t concentrating on eating their food and instead zeroed in on checking their emails or the web. Meals that once took two hours were taking two and a half hours, and guests waiting longer for a table. Major Food Group’s (the Grill, Carbone) Midtown Japanese restaurant has breakfast that’s decidedly more American than the lunch and dinner menus. Dishes such as an open-faced bagel and lox and a sticky bun pull from the group’s Soho Jewish restaurant Sadelle’s — though there is a bento with a shiitake scramble, teriyaki salmon, rice, pea greens, and miso soup. The colorful space may be a bit much early in the morning, but it’s certainly a unique option in Midtown. Which Commercial Kitchen Layout is Right for Your Restaurant? 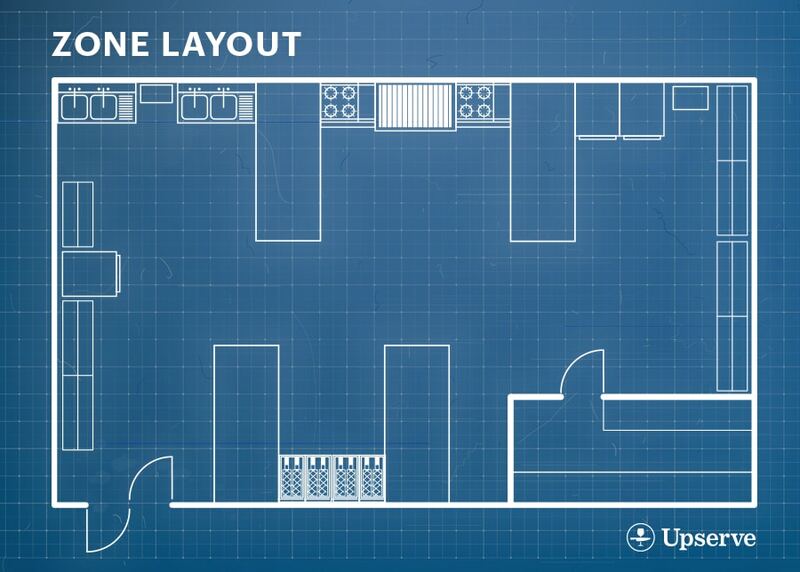 “(…) Zone layout is what it sounds like – the kitchen is divided into different areas depending on the task at hand. So there might be a food prep zone for chopping and mixing, and all of the necessary tools and equipment will be right there in that station. The cooking zone is only for cooking already-prepped ingredients. 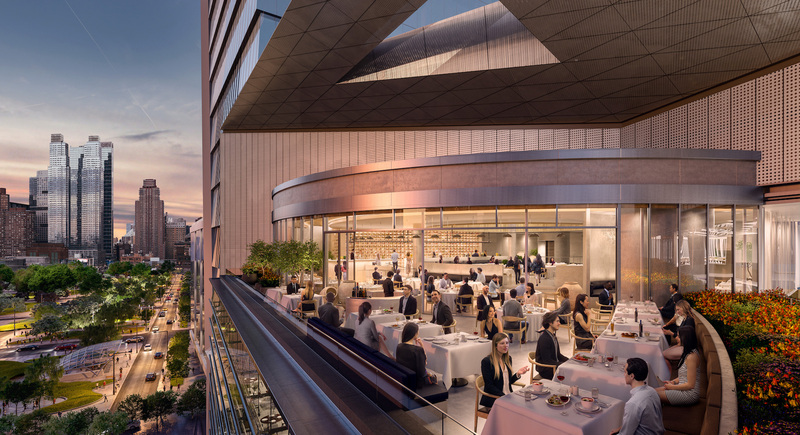 “Reservations are now live for Thomas Keller’s big Hudson Yards debut TAK Room — but alas, the first three weeks available have already booked up for tables for 2 or more at the mid-century American restaurant. A solo diner has several selections, though. The restaurant, which seats about 180, also accepts walk-ins. Eater has reached out to the team for info on how many spaces are reserved for that. Perhaps most unexpected, TAK Room’s Resy page claims that people will spend just about $50 per person on a meal at the fifth- and sixth-floor restaurant at the Shops at Hudson Yards. That would be a downright steal for any fine dining restaurant, let alone a Keller one that’s being marketed as glamorous and elegant. 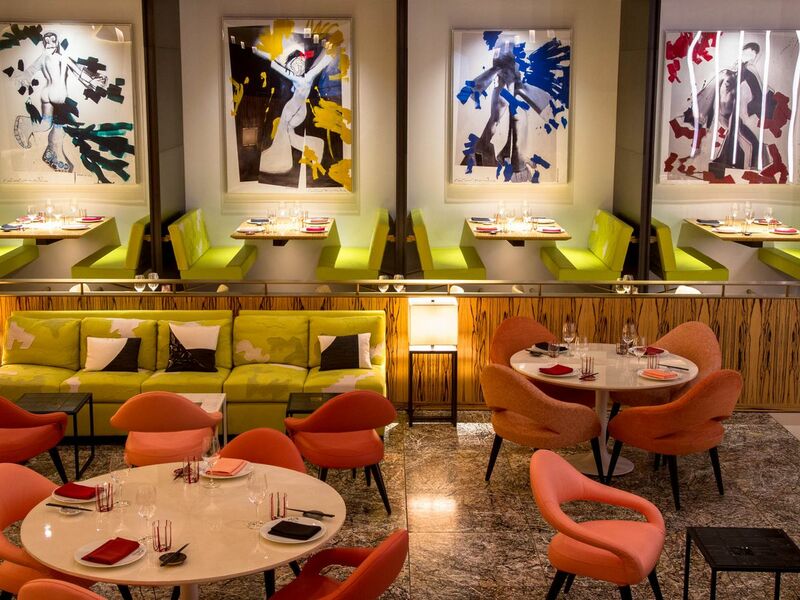 But word is that the TAK Room menu is similar in content and pricing to the one at the Surf Club, Keller’s spendy Miami restaurant that also serves continental cuisine. There, a Caesar salad costs $20 and a ribeye costs $75, according to an online menu. Still, it’s a far cry from the cost of dining at the chef’s other NYC restaurant Per Se, which currently charges $355-per-person for a tasting menu before wine. Eater has reached out to the Keller team for more info on pricing TAK as well. “(…) The majority of new restaurants are slated to open this Friday, an almost unfathomable feat in a city where opening day can be synonymous with delays and postponement. Already, there’s a sense of community in the new neighborhood. “You see people from different restaurants walking in each other’s spots, grabbing a coffee,” Stuessi says. The benefit of proximity has also helped the restaurants work together on staffing and supply needs; Stuessi recounts that the hospitality businesses were able to share applicants with their neighbors when good candidates presented themselves but job openings were already filled. “There is a sense of camaraderie with everyone opening a restaurant in Hudson Yards at the same time,” says Sam Gelman, vice president of operations at Fuku, Momofuku’s fast-casual fried chicken sandwich mini-chain. The Hudson Yards outpost will feature Fuku’s new bone-in fried chicken program and menu of sides, along with its signature spicy fried chicken sandwiches and chicken fingers. Neiman Marcus: The department store will feature a cafe (Cook & Merchants, level 5), bar (Bar Stanley, level 6) and restaurant (The Zodiac Room, level 7). “Looks like prolific West Village restaurateur Gabriel Stulman is trying to get in on the former space of Noho icon Great Jones Cafe. 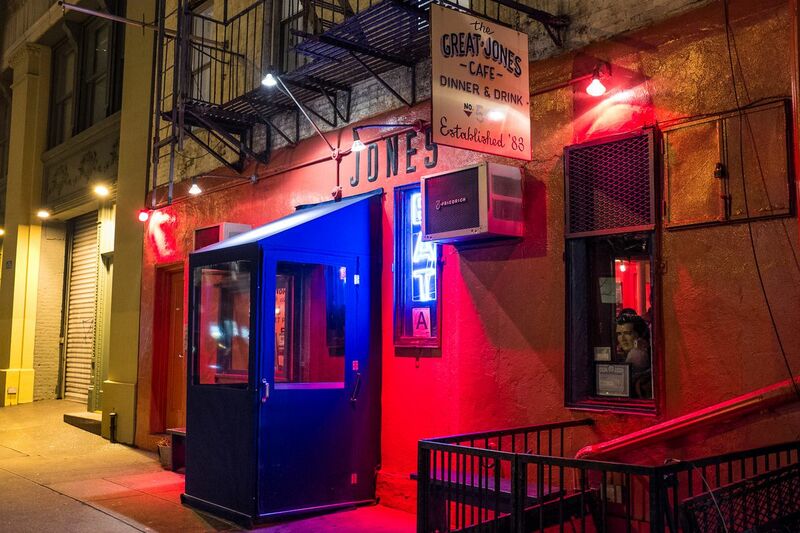 Stulman’s name is on the Manhattan Community Board 2 agenda, applying for a liquor license at the 54 Great Jones St. restaurant, as EV Grieve first pointed out. He’s the second person to try and open a new business there; in the fall, a crew including a Tao vet applied to reopen Great Jones as a “modern American” restaurant. The Cajun restaurant closed in August after 35 years, a shutter that happened shortly after owner Jim Moffett’s death. It was known for being a lively neighborhood hang, a stand-by for locals and a late-night fixture.